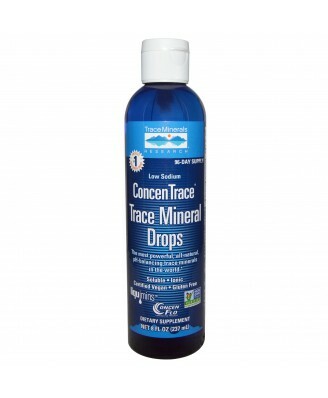 ConcenTrace Trace Mineral Drops is an all-natural mineral concentrate. 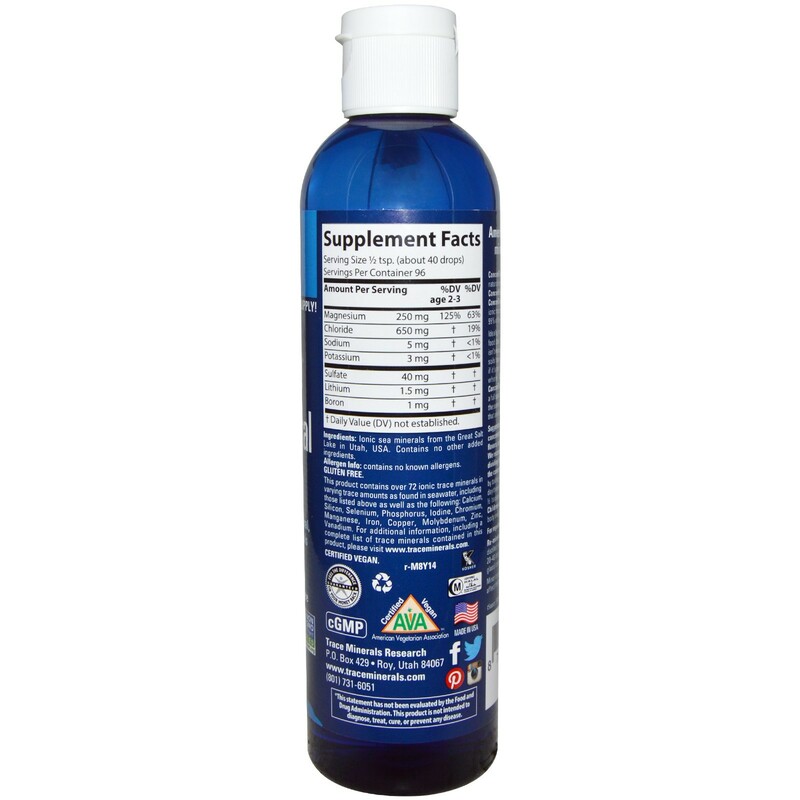 This product contains over 72 ionic trace minerals in varying trace amounts as found in seawater. #1 selling trace mineral supplement! 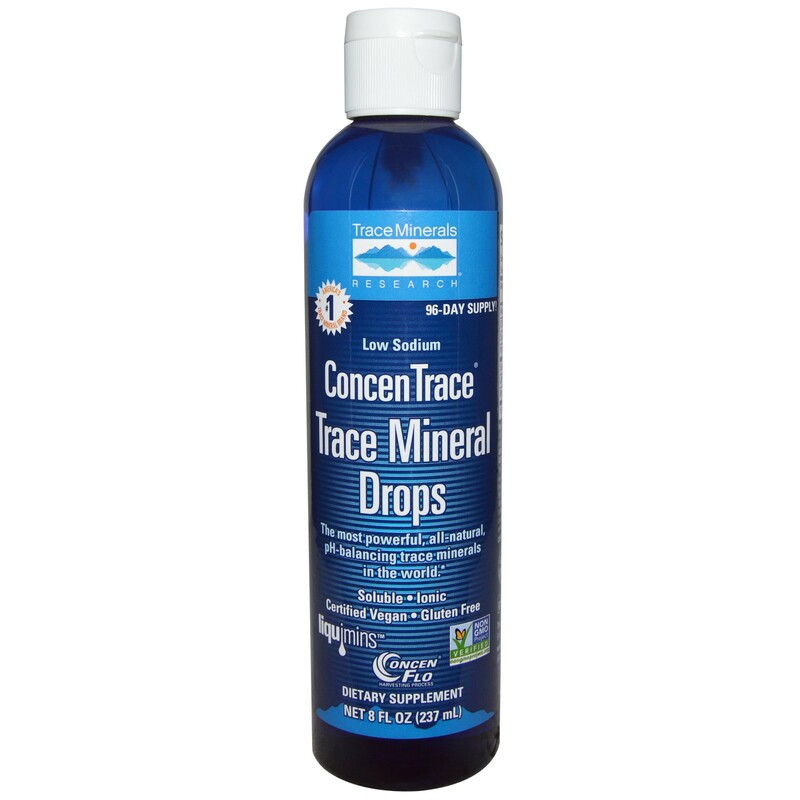 ConcenTrace Trace Mineral Drops is an all-natural mineral concentrate that's made by using ConcenFlo, our proprietary harvesting process. ConcenTrace contains over 72 naturally occurring ionic trace minerals from the Great Salt Lake with 99% of the sodium removed. Ideally, minerals should come from eating a raw food diet. However, even eating a raw food diet isn't enough since researchers have proven that soils have been depleted of minerals. Therefore, if it's not in the soil, it's not in the food. Here's where ConcenTrace comes in: Taking ConcenTrace every day ensures you're getting a full spectrum of ionic trace minerals, which are the same kind of bioavailable ionic trace minerals that are found in foods! This product is all natural, highly concentrated, contains no added preservatives, flavors, or sweeteners and has a very strong taste. We recommend mixing it with juice or food and dividing the serving throughout the day to mask the concentrated mineral flavor. Begin regimen by taking 10 drops for 3 consecutive days. Each day thereafter, increase serving by 10 drops up to 1/2 teaspoon (40 drops) once or twice daily. Children age 2-3: Take 1 drop for every 5 lbs. of body weight. For regular or sodium restricted diets. Re-mineralize Water: Improve the flavor of distilled, reverse osmosis or purified water. Adding 20-40 drops per gallon or to taste (2-4 drops per glass) compares to expensive mineral water. Minor crystallization may occur, but this does not affect the quality of the product.